Several hundred people have attended a rally in Belfast organised by politicians campaigning for the UK to leave the European Union. 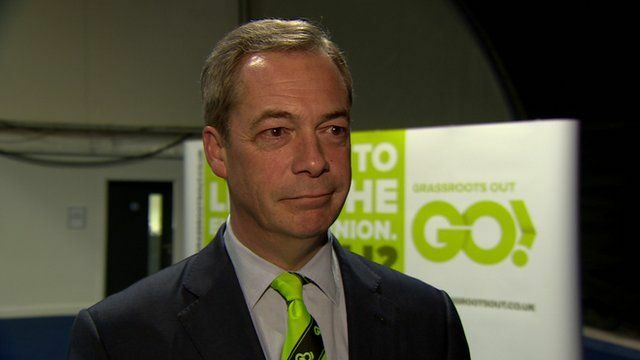 UK Independence Party leader Nigel Farage and Labour Party MP Kate Hoey were among a number of speakers at the event. A referendum on whether the UK should stay in the EU will be held on 23 June. The rally follows a visit to Northern Ireland last week by Prime Minister David Cameron, who said leaving the EU would be a huge risk. BBC News NI's Claire Graham reports.